Thanksgiving crafts are always favorites of mine and I just don't get tired of new turkey themed projects! 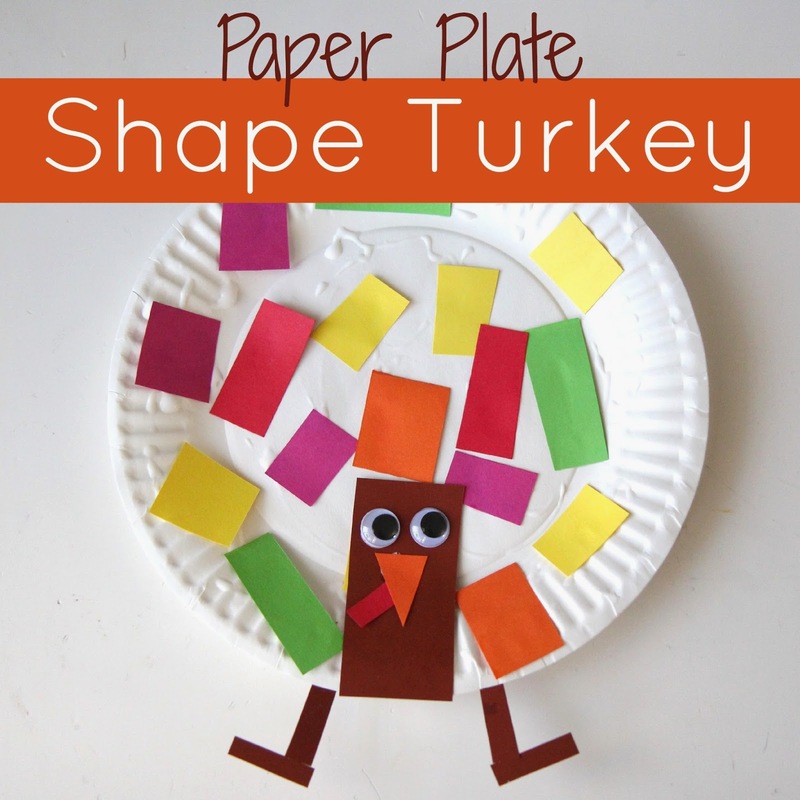 The other day we were inspired by I Can Teach My Child's cool painted Shape Turkeys and Crafty Morning's awesome Paper Plate Tissue Paper Turkey craft and we decided to combined our favorite parts of those crafts and create our own paper plate shape turkeys! Start my precutting shapes out of colored paper for younger kids. Older kids can cut their own shapes. If you don't want to cut things out, buy some pre-cut foam shape stickers. Those would work easily as well! Glue the shapes onto the paper plate. My daughter was a big fan of the green rectangles! Cut a brown rectangle out of paper to be the turkey's body. Glue it onto the plate and then glue on googly eyes, a triangle beak, and a rectangle gobbler. Let the kids have fun adding the elements to their turkey that they want to add and making it how they want it to look. I made my own along with the kids. Once they are done, let them dry and then display them! While you are creating it is so simple to sneak in some learning about shapes and colors by just talking about the shapes as you are sticking them onto the paper plate. My toddler was easily able to squeeze some glue onto his plate and add the paper pieces to the glue. His glue got bunched up in one specific spot so I gave him a spoon to spread the glue around. That helped a bit. If your toddler doesn't like glue or sticking paper on glue and plates, Do-A-Dot markers make great circular shapes that you could make instead of sticking on paper. Just have your child decorate a paper plate with Do-A-Dot marker stamps. You can add a head, beak, and gobbler later if your child wants one, or just leave their masterpiece as a beautiful collage color. Want more turkey craft ideas? 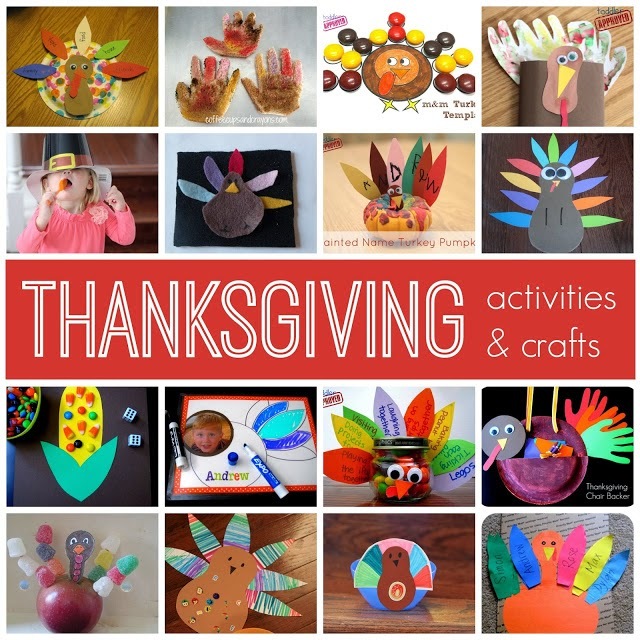 Check out our Simple Thanksgiving Activities & Crafts post.